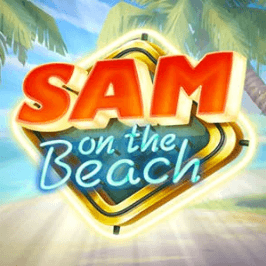 Huge wins, a loose and lively structure and the always appealing holiday theme have helped to make the Sam on the Beach slot game one of the most popular in the business. Known as an industry stalwart and a game that every player should try at least once in their lifetime, Sam on the Beach may be among the leading slots in the industry. With so much going on, we won't waste any more time in this slot review on general introductions. 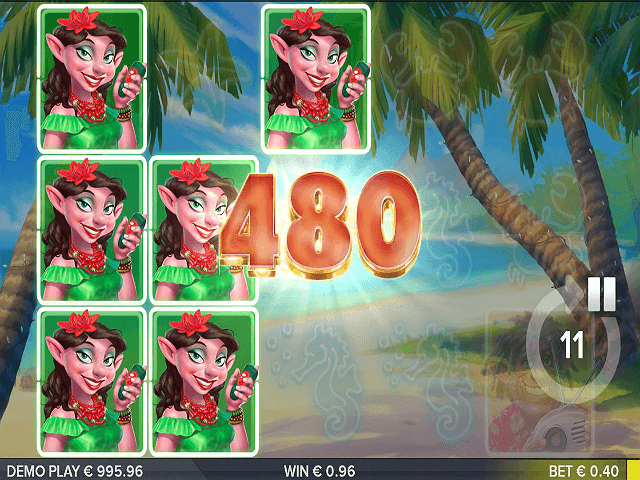 Indeed, for us to show you why this online slot is considered one of the greats, we've got to get into specifics. So, without further ado, here's our Sam on the Beach guide. In terms of theme and design, Sam on the Beach has a distinct holiday vibe. 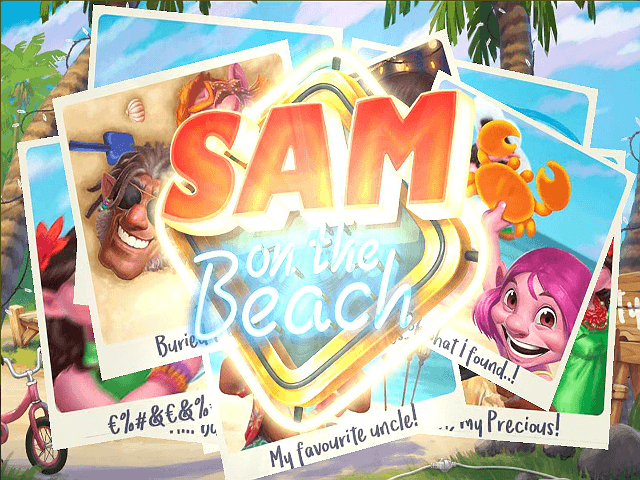 From sea creatures and colourful characters to a beach scene where symbols have a free-flowing nature, the Sam on the Beach video slot looks great. Some might even recognise Sam from the highly entertaining Electric Sam slot. Acting as a complement to the design, you'll find five reels that don't have a fixed number of paylines. Instead, you'll have 243 ways to win and fixed prizes that range from 40x to 500x your coin bet. In comparative terms, this payout table is pretty impressive, especially at the bottom end. 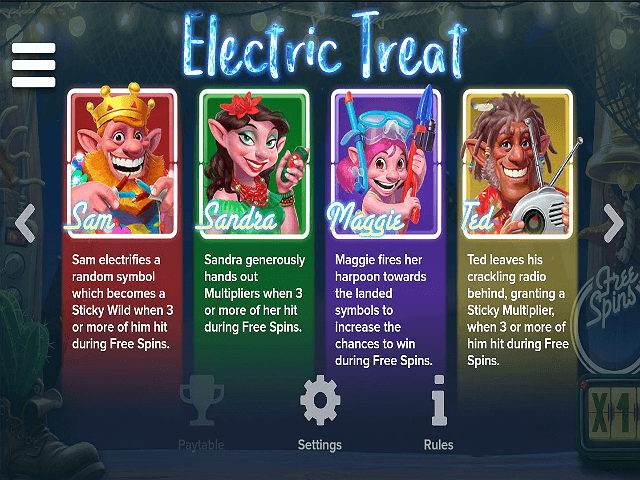 However, if you really want to know why Sam on the Beach slot game is a hit, you'll need to dig in deeper for the special features to make an appearance. Anytime the wild symbol (the game logo) appears, it can substitute for any other symbol except for the scatter. Roll between three and five bells (scatters) and win as many as 15 free spins. On top of this, any additional scatters during your free spins will give you an extra gratis turn. Ted = his radio will help create sticky multipliers. Optimiser = The size of your bet will automatically fluctuate based on the size of your bankroll i.e. you set the percentage of your bankroll that you want spend per bet and this will adjust the actual bet size. Leveller = The size of your bet rises by two steps after five consecutive losses. Booster = Your bet will increase by one level after a loss up to a maximum of four levels. Jumper = Bets will increase by one level after every winning round until you've jumped up by four levels. 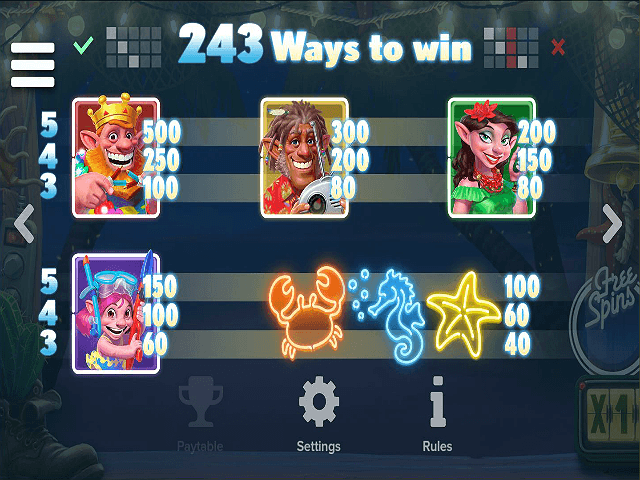 This betting strategy feature is unique and perhaps the best reason to play Sam on the Beach as a seasoned slots player. Having the ability to change your bets as the game dynamics shift is fantastic if you're a serious spinner. If you're looking for a top online slot and you've been around the block a few times, Sam on the Beach is this year's must-play game. If you like Sam on the Beach - You'll like these slots too!